Last year, 83-year-old Marie fell in her home while trying to navigate a set of stairs leading to the laundry room. Unfortunately, the fall caused her to break her wrist, bruise a number of ribs and suffer a hit to her head. After a short stay in the hospital for surgery to repair her wrist and monitor her head injury, Marie was released to go back home. However, her daughter worried that another fall was looming ahead. Like Marie and her daughter, millions of seniors worry about the painful and costly effects of a fall – which often occur inside their own homes. In 2010 alone, 2.3 million seniors reported to emergency rooms across the country with non-fatal injuries from falls, with 662,000 of these individuals hospitalized for their injuries, according to the Center for Disease Control. (http://www.cdc.gov/homeandrecreationalsafety/falls/adultfalls.html) With such a high risk for falls in the elderly, it is important to take measures to help reduce fall risk in the home. Regularly participating in weight bearing exercises and staying active even with light walking can help seniors maintain strength and balance, which reduces fall risk. A homecare software or homecare system can be used by in-home caregivers to help manage these activities and ensure that they are kept in the forefront of a senior’s daily routine. Footwear can have a surprising impact on a senior’s ability to move about their home safely. Low heels and rubber soles can ensure easy balance and good traction for seniors. Those that need help getting ready each day can find assistance from a caregiver with homecare software or a homecare system, like ClearCare, to help them select appropriate footwear. Seniors suffering from poor vision may be at a higher risk of falls. By improving lighting in travel areas of the home, making sure that seniors wear corrective lenses and taking simple steps like placing strips of brightly colored tape on stairs and areas that may present difficulty in distinguishing different heights. 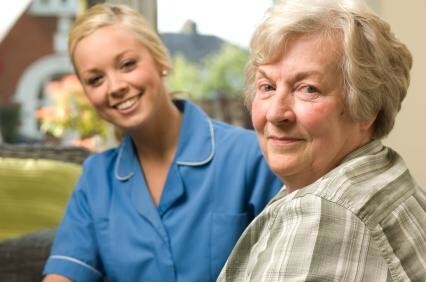 Notes within a homecare software or homecare system can also help caregivers remember to keep lights on and check to see that assistive measures are in place. Environmental hazards within the home can be one of the biggest risk factors for falls. Simple things like repairing cracks in sidewalks, installing ramps in place of stairs, removing throw rugs, creating streamlined furniture arrangements to allow for easy travel and installing grab bars in hallways and bathrooms can all set the stage to keep seniors safer at home. Falls for seniors like Marie can create a sense of worry. However, with the proper preventative measures, seniors and their caregivers can work together with the technological power of a homecare software or homecare system, such as ClearCare, to keep seniors on their feet and out of the hospital.